Deja Vu, Anyone? – Tell my story. 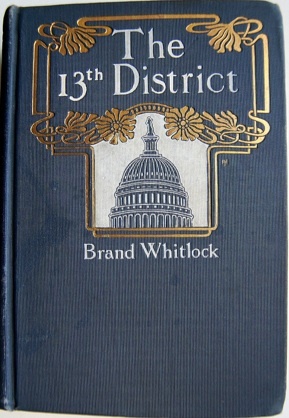 Earlier this week, I came across a book, The 13th District, by Brand Whitlock. It piqued my interest in that it was written by a journalist-turned-lawyer-turned-politician, who was in Washington at the same time as Emmett. Also, it seemed like the type of fiction Emmett might have read. Although the book was published in 1902, the writing felt modern, and entirely relate-able; i.e., the world and issues of politics and politicians as presented in Whitlock’s book really have not changed in 112 years. The story is about a young man, Jerome Garfield, taken from obscurity and made into a local-hero politician, only to experience a rapid fall from grace, primarily because he did not keep a promise to a political supporter. Sound familiar — i.e., Emmett and Chipley Jones? Like Emmett, Jerome Garwood was mostly obscure, and his prominence came at the hands of local political players also looking out for their own interests. Neither Emmett nor Jerome had a lot of political experience behind them when they took office, which turned out to be detrimental to both men. Neither Emmett nor Jerome really understood (until they were elected) that the majority of their job in congress, especially that first term, was going to be about how to get reelected again in two more years. 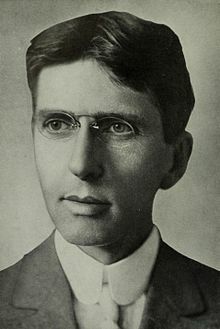 Emmett certainly had ideas and plans (if you read his campaign platform), but only two weeks after his election in November, 1912, powerful friends had their hands out for patronage positions — this was the same with Jerome Garfield. Neither man fully comprehended the reality of this situation until it was thrust upon them. Both Emmett and Jerome were undone (to a certain extent) by not fulfilling a promise to a powerful political colleague. In Whitlock’s book, you can see how Jerome’s lack of political experience results in a lot of poor choices, especially with the post office position up for grabs in his small town. Emmett’s was a bit more complicated: He had personal and ethical reasons for not keeping his side of the bargain, which I think were admirable — but he doesn’t defend himself in the media, or anywhere else for that matter, and that did not help his situation. One key difference is that Garwood marries a woman who is his spiritual and emotional anchor — and yet, he neither appreciates nor recognizes what she could do to steady him in his personal and professional development until he loses everything. Emmett never married; he had people close to him, but no one yet discernible, to date, whom I’d call his spiritual and/or emotional anchor. Emmett certainly could have used one; else his life not have drifted away on a sea of alcohol. This book was also good in that Whitlock describes the world of Washington politics, and what it probably was like, when Emmett was a congressman in 1913. For example, Whitlock’s description of Garwood making speeches on the House floor sound very much like what they are like today. 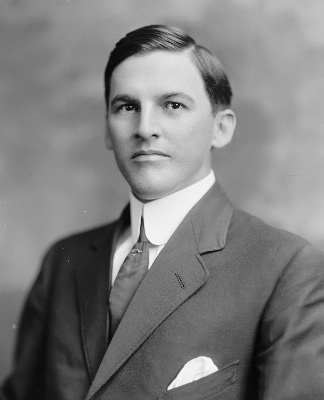 Like Emmett, Garwood made only a few speeches during his tenure in Congress. Neither Emmett nor Garwood made what I’d call legislation-changing oration at any point in their careers. Mostly, what both Emmett and Garwood did was speak on legislation that was already fairly secure; what they were doing was getting their names in the Congressional Record to indicate to folks back home that they are visible and working on their behalf. Sounds like PR, and that’s exactly what it was (and is, today). As I read The 13th District, I was wondering if Emmett had read it too. And if so, perhaps later on, after he’d ‘retired voluntarily’ from Congress, that he might not have realized a sort-of deja vu in his situation, especially with the political parallels and the scheming throughout the book. They were very close to what happened in Emmett’s career. I enjoyed Whitlock’s writing, and I think you might, too. Whitlock has several other titles out there, also through Google Books. See the link at the top of the page, or type in, “Google Books” in your browser.